Last week one of my beloved cats died. I haven’t blogged about it until now because I was feeling too upset to type the post, but now I feel I should even though it is still hard to find the words. Both of my cats were nearly 14 years old. 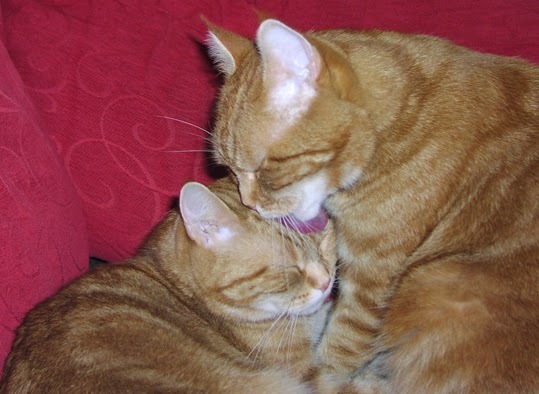 They were twins – found as kittens abandoned in a cardboard box. At least I know that by giving them a home they had many more happy years of life than they might have done - and one of them is still very much alive. They always got on well together too, and the surviving twin seems to miss his brother very much. Although they had occasional scraps over who was going to get prime position on a cushion or whatever, they used to sit next to each other on my garden wall, groomed each other and would curl up happily to sleep together when the weather was cold. About a month ago, one of them started to lose weight. I took him to the vet, who ran lots of tests that were inconclusive – but he did feel a lump in his belly that he suspected was a tumour. We discussed all the options, but decided against an operation as the vet felt that it would cause my cat more suffering than was necessary and the chances of success were not high. 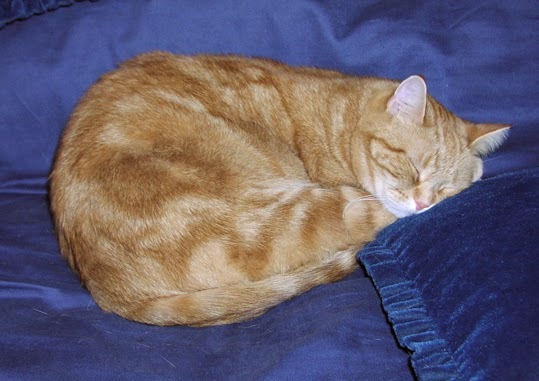 He gave my cat injections to try to keep him as comfortable as possible, but by the middle of last week my cat was so weak and thin we took the decision to end his life quickly and painlessly. He died in my arms and I buried him in my garden with a small cairn of rocks over his grave. I also did a short requiem rite, lighting a candle for him and placing it in my cauldron, then saying a few words to wish him safe passage into whatever might lie beyond the veil of life. 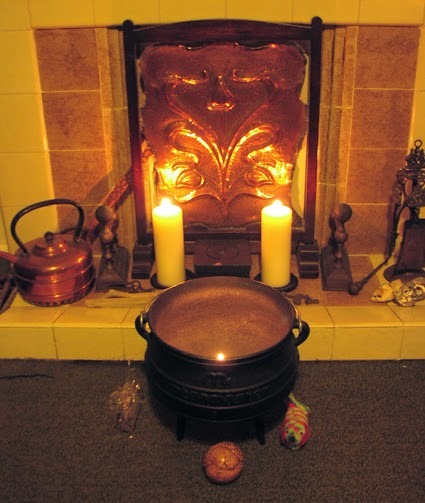 Around the cauldron I placed one of his favourite toys, a small cat ornament that a fellow witch had given me as a gift, and a beautiful cat meditation ball that I had bought at Witchfest specifically as memorial for my beloved feline friend. The big dilemmas I faced were whether to aggressively treat the tumour, and then whether it was right to end his life earlier than a natural death. Of course, if he had been human, there would have been operations and chemotherapy. There most definitely would not have been euthanasia, even if the suffering human with a terminal condition wanted to choose when to end their life. But which course of action is the right one? When a pet is old and ill and doesn’t have much longer to live we often say it is kindest to put them out of their misery, but we can’t easily ask their permission. When a human is dying we do everything we can to preserve life to the bitter, natural end – even if they are in a coma, definitely not going to recover and have previously stated they would prefer to die in that circumstance. I don’t know what the answer is – and although my feeling is that I did the best thing for my beloved companion, I can’t be sure. I also know my doubts about my choices do not make my grieving any easier. Please accept my condolences. I too have struggled with some of the things you've written about here. I lost both my two within 10 months of each other. The last being this past July. It's never an easy decision, even when you think it's for the best. Thanks very much for your message of sympathy. Condolences to you too, for the loss of your pets. I'd like to offer my sympathy as well. These are very difficult questions and I don't have the answers. However. I do believe that being freed from the pain of a terminal illness isn't a bad thing. If you were terminally ill, weak and frail, what would you choose? I think I would want to step out of suffering and go beyond the veil of life. My deepest sympathy on the loss of your cat.